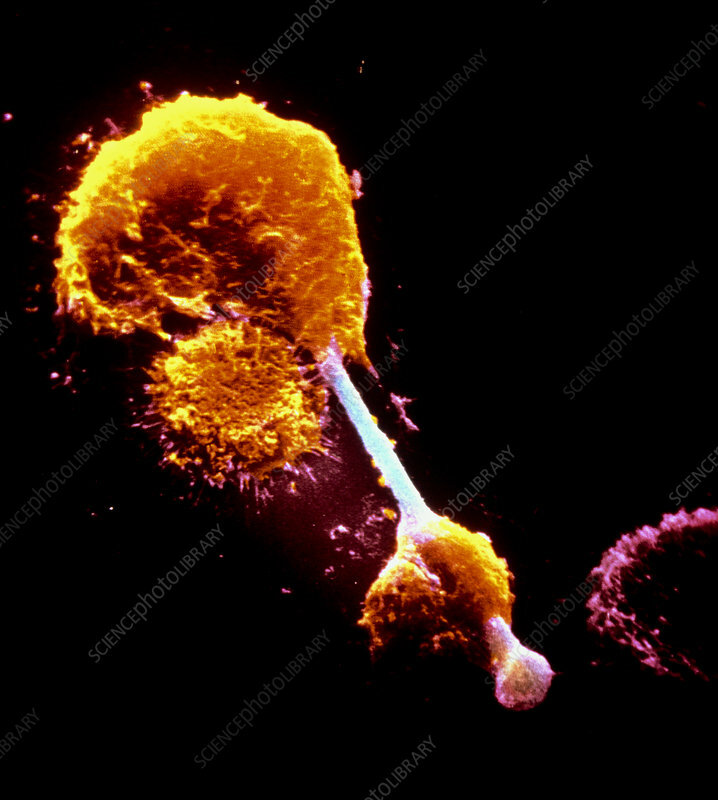 False-colour scanning electron micrograph of a macrophage impaled on an asbestos needle: the specimen was taken from a person suffering from asbestosis, a lung disease (a form of pneumoconiosis) caused by inhalation of asbestos fibres. Ordinarily, small particles in lung would be engulfed (phagocytosed) by the macrophage (a mobile scavenger cell): asbestos needles are virtually indestructible & puncture the macrophages, destroying them & releasing their contents onto surrounding lung tissue. Exposure to asbestos is also linked with development of mesotheliomas (cancers of pleura). Magnification: X 820 at 35mm size.